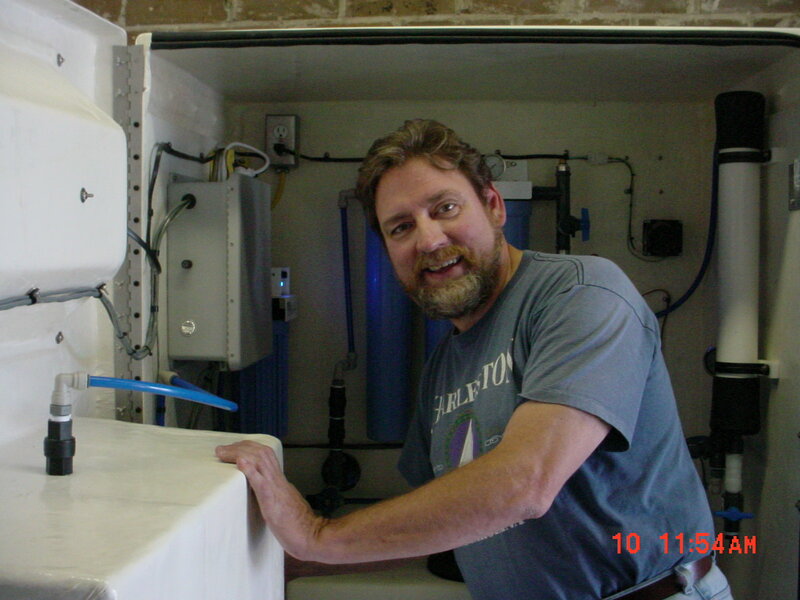 The owner of Water Vendors By Us, Don Brown, has been in the water vending industry since the mid-1980’s. During that time he learned the industry inside and out as a vending machine operator, tech-support and now as a water vending machine manufacturer. “I tell people I am not the father of water industry but I am one of the older brothers of the water industry”, he says. 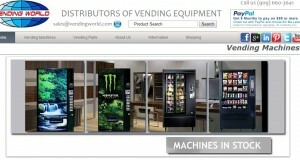 Don shares his wealth of knowledge about the industry with MyVendingMachines.com in this in-depth interview. Today, I have Don Brown with me. He is a National Sales Manager with Water Vendors By Us. They are a water vending company. Good morning and welcome Don. So tell us a little about you and your company. Don: Well, I actually got started in the water vending industry. I tell people I am not the father of water industry but I am one of the older brothers of the water industry. I got started way back in the mid-1980’s in San Jose, California. I originally started operating, I was an operator. I would buy machines from different manufacturers. I basically, probably, operated for 10 years and then I got into manufacturing probably in the mid 1990’s. I continued to build machines in San Jose until around 8 or 9 years ago when I decided to get out of California because the cost of doing business in California was just too high. I moved to Atlanta about 8 years ago and started up Water Vendors By Us. I have done about everything you can in the water vending industry. I have operated them, I have built them, I have tech-supported them. I know everything about the industry so I am pretty well-versed in this industry. So obviously I understand that your company manufactures the vending machines but other than manufacturing does your company also support the customers with marketing, how to grow the business, provide warranty support or if something breaks, do you guys repair them or is it just kind of a product and sales type of business concept? Don: Yeah. We support warranty over the phone and of course with parts. We don’t do too much as far as educating people about the marketing and stuff. It is a pretty simple business. You place the machine in front of the store or there are numerous locations you can place the machine at. People pretty much find the machine and start using it. We do the warranty and, obviously, give them some tips on how to build their business. We don’t really have a franchise package where people come in and buy the machine and I will hold their hand and do it all from selling the machine all the way to supporting it. A lot of our customers, we have a mix, but a lot of our customers are small stores, grocery stores, convenience stores and coin laundries who are already in the business or business people and this is just another revenue stream for them. A lot of people will kick out an operator because they are not getting enough money from the split and they will want to buy their own machine. They will buy the machine from us. There is plenty of room. The market is saturated in certain area, like in California or Arizona. Those markets are 20 or 30 years old so there is quite a few machines in those markets. You can still make a decent revenue off a machine if you have a good location, you have the right people coming to it, you keep the machine clean and service it. You can still do well. Most return investment typically runs from 18 to 24 months. That is a pretty good return for most people. The water vending industry has no real packaged goods so it is not like you have to run around , have inventory, select candy bars, worry about expiration dates and all that kind of stuff. You basically hook this machine up to the city water supply. Inside of it is a 5-stage purification system that will take city water and turn it into bottle water quality. The vend price is typically .25 cents per gallon to .50 cents per gallon. Let me ask you this before we get into financial numbers. For those of us who are not familiar with water vending, let’s say I am a brand new guy and I want to buy this machine and set it up at a local grocery store. Do I have to get plumbing involved or get city licenses? How complicated is the process? Don: Well, every area is a little bit different but you will need water, power and drain. Typically water is usually at the front of the store, a hose dib is there, and power is usually in the front of the store. The more difficult thing is the drain which you have to plumb to either a bathroom or a floor sink in the store, depending on what type of store it is. If you are a coin laundry guy, you already have the water, power and drain right there. It is a really easy install for a coin laundry person. But, as far as regulations, the most strict state is probably Texas. In Texas, you actually have to go to a little school, they have a class, you get a little certificate and you are now trained to service the machines. In California, you basically just take a picture of the machine on-location, you submit that to the state health department. I think the fee is about $20 per year. Really the only requirement for you is to do a bacteria test every 6 months with a state approved lab. So you just get a little bacteria test. You go down and get a bottle from the lab in your area, you run over to the machine to get a sample, take it back to the lab and they will give you a total bacteria count. That is pretty much it. The beauty of the water vending machine business is you bypass a whole ton of regulations that you would normally see in bottled water because, the main reason is, the consumer is bringing their own bottle so they are responsible for the sanitation of their own bottle and you are responsible for delivering sanitized water. You do that with the purification system. We are required by NAMA regulations, which most states look to, to have a UV sterilizer as a final purification process to make sure that there is no bacteria getting into the water. We also have a fail-safe so that if that the UV bulb burns out then it disables the machine so that you cannot sell water. So it is really pretty simple. It is really just usually you get a plumber or a handyman and they can install the machine for you. You basically turn it on and it starts making water. It is a real simple design, simple machine, easy to service, easy to maintain. I warranty the controller for 5 years so that tells you that you are not going to have electronic problems. You basically make one adjustment to the machine that is the pressure on the reverse osmosis system. You make a judgment on how much waste water to product water that you would make in the system. And that is it. You set that up and it’s ready to go. I have customers that I do not hear from in 5 years or 6 years because the machine just runs and runs. They will usually call me when they want to change the price, or something like, that and they do not want to read the manual. They call me up and ask “How do I change the price?” That is usually the type of calls I get. One of the things I hear all the time in the vending industry these days is “real-time monitoring”. People want to know how much money they have made per day, what kind of inventory they have and so forth. Do these machines have any capabilities on them to do the real-time monitoring or is it pretty much cash base so people just have to go and collect the coins? Don: We can do real-time monitoring. That is not a problem. It is typically a cash business. We can do credit card charges but the credit card fees, typically, on a quarter, for a gallon of water, you would be giving away approximately 20% of that quarter so most people don’t do credit cards. The people who tend to come to these machines are in the lower to middle incomes so they normally come and put in bills and coins in these machines. Demographics is real important when you are starting to consider where you want to locate these machines. I mean you are not going to want to put one of these machines in Beverly Hills. Don: They are not going to come down and save $2 on their bottle of water. So you want to put these at discount grocery stores, the Hispanic market is huge, and the Asian market is huge. It is wherever somebody wants to save money and still have a high quality drinking water is the location you want to put one of these machines at. That is why coin laundries are a good spot. I think we touched on this earlier. Do people need to get the city licenses in advance for these? Don: It is really just a state license, a state health license. Ok. No construction license or anything like that? Don: No, because it is a vending machine and you are just putting it out. Now, you might run into some cities for your industry where you might want to get it approved by the city but I do not know. I don’t come across it too much. Actually, I do not think I have ever run across it where the city has gotten involved when you hook these things up. If you take something like this and put it out in the parking lot and poor pad, yeah, then the city would get involved. As long as you locate it inside of the store or right outside of the store, there is usually no real requirements from the city that I have come across. Excellent! Thank you so much Don! You covered a lot and I am sure our readers will benefit from it. One last question, if somebody is interested in getting started with Water Vendors By Us, how can they contact you? Don: Our phone number is 770-454-7023. They can go to our website www.WaterVendorsByUs.com. We have an 800 number but I just don’t know it right now off the top of my head but it is on our website. Basically, our website is the best place. That is where they can get some information. There is a frequent questions page which I go into a lot more detail about what you can expect. So the website is, typically, the best place to go or call us directly. Perfect. Well thank you very much Don. So there you go guys, if you are thinking about starting a water vending business, then this might be your starting point. Give Don a call. Obviously he is a veteran. He has been in water vending for a very very long time. He has operated the water vending himself and now he manufactures the machines so you get the best of both worlds. As you can see, I am speaking with him directly so I am sure he would be willing to help you out with any questions you have related to water vending. Once again Don, thank you very much for your time. Don: Ok, great. Nice speaking with you.